TEAL stands for Tokyo Electron Applications Laboratory, of Tokyo, Japan. Sinichiro Osaki in his Pocket Calculator Museum at http://www.dentaku-museum.com/ gives the information that the company was founded in 1968, sold calculators under its own TEAL brand, and was a supplier to other companies including Toshiba and Hitachi. The company went out of business in 1978 after the price of calculators plummetted. 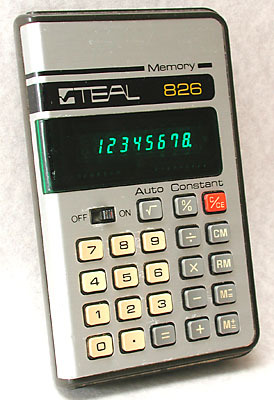 According to the instruction manual for a TEAL 826 calculator, TEAL Industries, Inc., of Carson, California, U.S.A., was a subsidiary of Tokyo Applications Laboratory, Ltd. 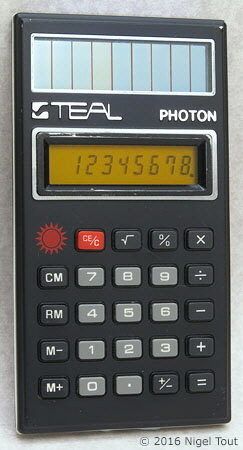 It marketed a range of calculators in the 1970s, in the U.S.A. and Europe under the Teal name, including one of the first solar-powered calculators the Teal Photon. To confuse things a little further, Tealtronic was the trade name of a British company which marketed some Japanese-made hand-held calculators in Europe under that name, which may have bean manufactured by TEAL. See the TEALTRONIC LE-8. Dating from about 1971, this model uses Nixie-type display tubes. 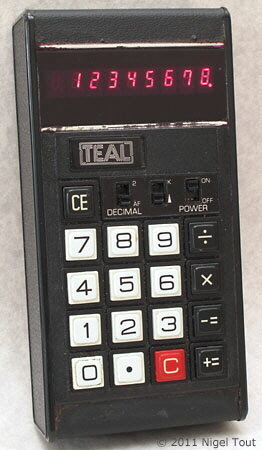 This is a featured calculator, together with an OEM version, the Accurate 100. LED hand-held calculator, dating from about 1972. Identical to the TEAL LE-8. 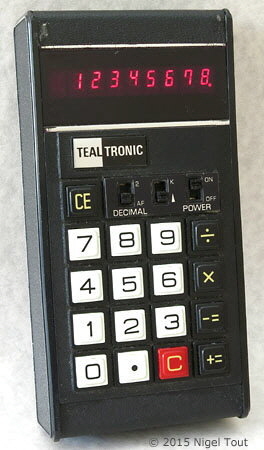 TEALTRONIC calculators were marketed in Europe and may be related to the TEAL company. For further information see TEALTRONIC on the associated Vintage British Calculator site. This style of calculator was also sold under other names by other marketing companies. Teal Industries Inc., Carson, California, made in Japan. 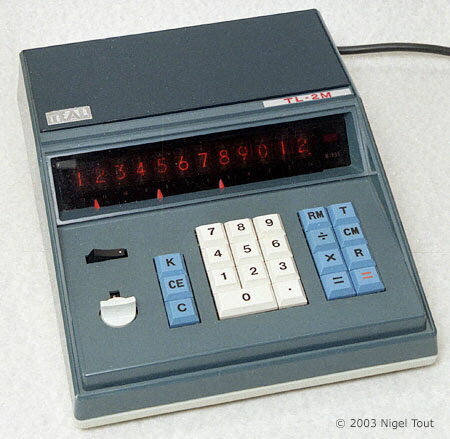 This was one of the first solar cell powered calculators and was introduced in 1978. For further photographs of TEAL hand-held calculators see the Calculator Photo Library on this site.